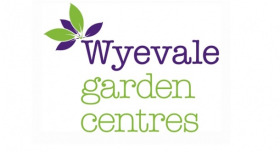 Wyevale Garden Centres (WGC) has announced the sale of five garden centres to Dobbies Garden Centres. The centres include Gloucester; Heighley Gate; Huntingdon; Woodbridge and Woodlands. The acquisition brings more than 400 team members to Dobbies and takes the garden centre retailer’s estate to 39 centres across the UK. The five centres are all larger destination garden centres, similar in size to the nine centres sold to Blue Diamond in July. WGC has received a significant number of offers for all or part of the remaining WGC business from national, regional and financial operators as well as local entrepreneurs, with the most recent sold centres being Croydon Purley Way, Sidmouth, Solihull and Windsor, which was sold less than two weeks ago. The sale is expected to complete in late October with the centres reopening as Dobbies soon after.